Languages in the Mainstream is a 12-month partnership project between the Modern Language Teachers Association of Western Australia Inc (MLTAWA) and the Office of Multicultural Interests (OMI). The project, which promotes the benefits of language learning in mainstream and community schools and the broader community, was launched by the Minister of Citizenship and Multicultural Interests, Dr Mike Nahan MLA, on 20 August, 2016. The project involves the delivery of a series of public events throughout the year that promote language learning and will culminate in a revived, statewide acknowledgement and celebration of “Languages Week” from 7-14 August 2017. 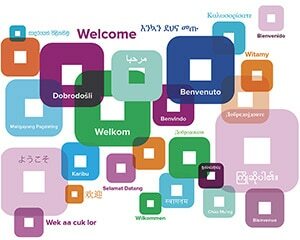 The expected benefits for the community include moving from a multilingual society (many language groups coexisting) to a plurilingual society (many language groups interacting with each other to promote social cohesion, increased intercultural understanding and improved language and literacy skills among citizens.